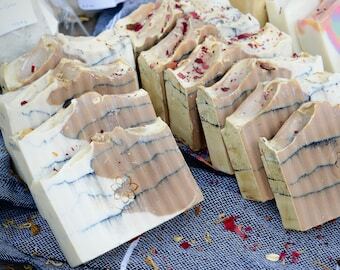 Handmade soap / all natural soap makes for the perfect gifts for him. 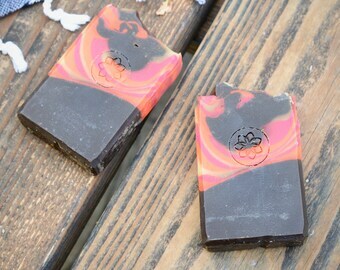 This marble soap is scented with a fresh, crisp fragrance along with a hint of ginger tea! 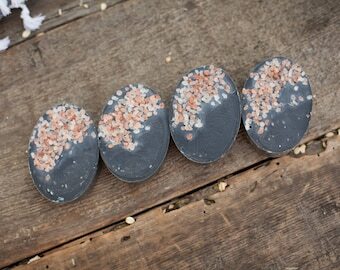 Made with activated charcoal, the soap pulls dirt and toxins from the skin that causes blemishes. 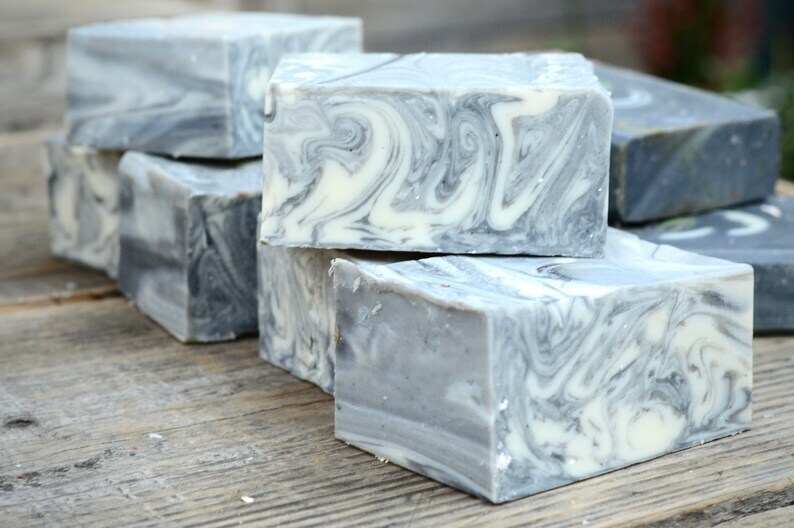 Charcoal soap makes great acne soap or detox soap for the face as well as a fully body soap. 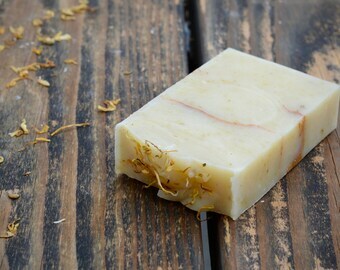 The all natural vegetarian soap makes a great addition to your skincare routine! 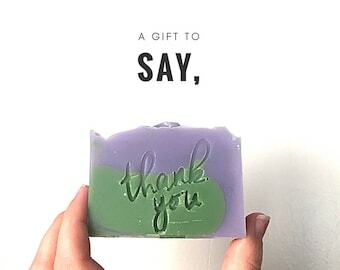 All natural soap products are the perfect and very unique gifts you are searching for! 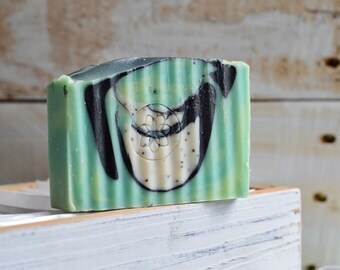 While the majority of our products are considered unisex soap, it definitely qualifies as a "manly soap" if that's something you're looking for! 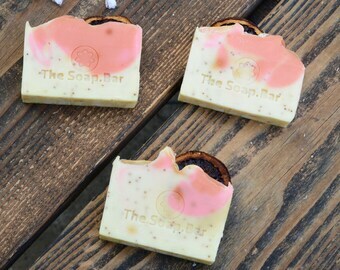 Not only does the soap smell amazing, but it also doesn't leave a greasy or dry residue on your skin. I love it! The recipient of this Christmas gift absolutely loved it. Thanks!